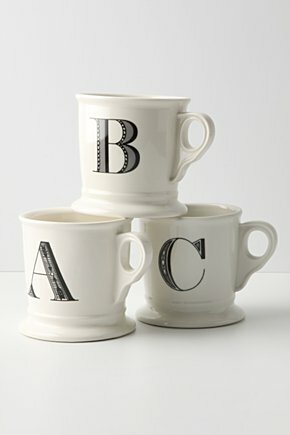 How nice to drink your morning coffee out of these! Buy your initials or just letters you like. I would Buy E & N.